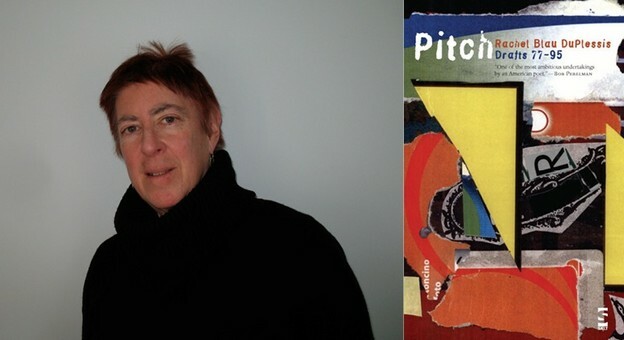 Rachel Blau DuPlessis, September 2011; “Pitch: Drafts 77–95” (2010). Reading Pitch: Drafts 77–95, I’ve begun to wonder if it’s really possible to traverse Rachel Blau DuPlessis’s Drafts project straight through. The way each Draft activates so many inter-texts (within the project & without) seems to suggest that the linear sequence of these poems isn’t the overriding trajectory here, even if we have been reading that axis — those of us following the journal publications of Drafts — following along (if not systematically, at least historically, in roughly chronological order), witnessing the project build to a pitch, as it were, to a critical mass. Led by either axis of the donor grid, my reading of Drafts usually involves a major physical pileup of texts, including (now) all four books of Drafts, as well as any number of supplemental volumes. But the arrival of Pitch has me tracing another concern, reading poems like “Draft 85: Hard Copy” as also contained, autonomous. So that I’m beginning to approach each separate Draft as a kind of co-incidental text: sharing incident (inciting and incited) but also, in certain cases, strikingly divergent from the organizing principles of donation and sequencing. For one thing, Pitch announces a plastic edge of the project thus far undocumented by any of the book publications, though not without precedent in Drafts’ use of ideogram and redaction. The excerpt from “Draft 94: Mail Art” (first published in Jacket 37, with a volume of The Collage Poems of Drafts now out from Salt) features black and white scans of DuPlessis’s own collages, offering an exciting navigational supplement to the donor grid. And even without jumping to entirely different media, certain poems here gesture towards a monumentality that I have to read as running concurrent, as a framework, with that grid. Though DuPlessis has plotted each numbered poem on a trajectory — the x and y axes — in Pitch, two long poems comprise almost half of the book (Drafts 85 and 87). Of course, if there is a move towards the monumental in certain poems here, poems like “Draft 93: Romantic Fragment Poem” are becoming minor, reminding us that the fragment or the ruin might be as reliable an index as any for a reading of Drafts. To get a better sense of one of the un-indexed momentums of Drafts, I’d like here to treat Draft 85 almost exclusively, hoping that even in the context of a review such a narrow focus will be useful, and that, further, it will be clear that the pleasure of reading DuPlessis’s work by reading it through to other texts and contexts isn’t in “getting” the references, but rather in being swept up in a poetics of historical critique. DuPlessis is one of our great literary historians, and the poems in Pitch only further solidify that position. Written over Oppen’s “Of Being Numerous” — section by section — Draft 85 has so troubled my sense that even two axes are not sufficient scaffolding by which to “map” (so as to traverse) these Drafts that I find myself completely preoccupied. A point of departure, then, from “Draft 85: Hard Copy,” for a (one) reading, in the form of a few lines that might seem — out of context — more ruin than monument: “There is at once too much / and too little / for getting the force of it, the rebuff” (59). Draft 85 isn’t on the line of 11, yet it borrows the above from a poem on that line, “Draft 49: Turns and Turns, an Interpretation”: “I am not getting the force of it in, // the rebuff, the clarity, in.” This inter-text, not indexed by the donor grid, adds an Objectivist nexus (to borrow a title) to the scaffoldings already articulated in DuPlessis’s grid of Drafts, inasmuch as it sends us to another Draft written over a “major” Objectivist work: Zukofsky’s “Mantis” and “‘Mantis’: an Interpretation.” Certainly something different is at stake for DuPlessis in overwriting Zukofsky, and we might even say that 49 more willingly turns from, even elides, the text and author on which it is modeled. But it would be important to note that, in sending us back to Draft 49, Draft 85 has also drawn a relation to one of DuPlessis’s most complicated assessments of feminist activisms. The “it” that proves so difficult to account for in the shared lines above is (in Draft 49) the ability to articulate an engagement with feminism that is at once contested and sincere: “I was angry at my sister; who is my sister we enter a dark chamber” (112). And though the repetition of text from a previous Draft might constitute a donation akin to those indexed by the donor grid, both 49 and 85 are what I would call “major” Drafts, though they’re not alone, in my reading. I’m fully aware that I’m overstepping here to claim “majorness” for a project that so persistently politicizes (even dismantles) that notion. I also risk the (major) misstep of advancing as “major” only those Drafts mapped on the concerns of DuPlessis’s male predecessors. It would be worth clarifying, then, that 49 and 85 stand out as major precisely because of the directness with which these Drafts politicize authorship and perform a sustained feminist historiography, both of which I take to be central concerns of this project. Readers might note with curiosity the absence of “clarity” among the concerns enumerated in the text borrowed from 49, once it resurfaces in 85 (the Oppen Draft). More on this. 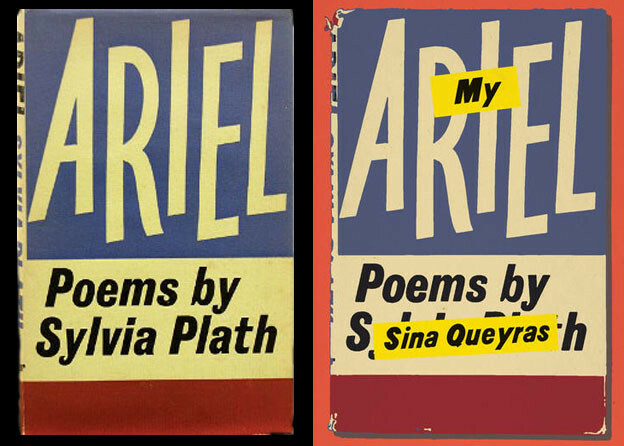 “Hard Copy”: the title names both a lyric impulse (written “on” Oppen, that the address was difficult) and a documentary one (the poem takes up the Iraq War, but also torques the discourse of documentary poetics by viewing the problematics of authorial distance through the lens of gender). The title also locates something in the way of accounting for the entire project of Drafts, since the donor grid, while suggesting “pitch content” like a pitch set in musical set theory, does not describe a strictly procedural work, but a series of donations that are, rather, hard won, emergent. The poem is a calling-back; an exegesis; a midrash; a critique; a modeling; a theft (or a take-back, in the case of the reappropriation of lines Oppen once borrowed from DuPlessis); a lament; a redaction (or not); a numerousness (in Duncan’s sense of the unoriginal poet, H.D.’s palimpsest); a touch (a mourn-touch); an update; a screen or projection from this side of the twentieth century; “what is under the surface / trying to come to light” (Pitch, 42); the (everyday) impenetrable (42–43); or graffiti; even translation; an ambivalently monumental in memoriam (44); a binding — in hard copy — of “us to the damage” (45); an “annunciation” of “states” (“of being (numerous)”) (46); a “joy” (here) “riven / with revulsion” (48) at optimism in the face of the present world; a “recurrence” (48); an “improvement” (48 — see the take-back). As in the epigraph from Celan’s “Meridian” speech, “The poem is lonely. It is lonely and en route. Its author stays with it” (42). DuPlessis’s rendering of the treacherous position of writing “among” wars reads like an elided history of women war writers: Sitwell, H.D., an unnamed female correspondent in Iraq, DuPlessis herself (52–53). That this list overwrites Oppen’s firsthand account of a war seems to suggest that history is best written by a chorus of accounts, and that further, listening to (rather than looking at or “seeing”) who/what one lives among is preferable, as a methodology. Thus, to “shatter” the reflective in Oppen’s original formulation (“There are things / We live among and ‘to see them / Is to know ourselves’”) is also to redouble an effort to acknowledge a multiplicity of historians of war, to sanction alternate histories, alternate ways of knowing. What humbles me about DuPlessis’s treatment of Oppen’s person and work in this poem (as throughout Drafts) is that the work of mourning a friend and mentor and the work of engaging a politics of authorship are followed out in tandem. Followed out as not mutually exclusive, if not exactly symbiotic, endeavors — in generative proximity. Again, “distance” is key (in mourning, in discourse, in writing company). The donor grid of Drafts proceeds by repurposing text from previous “donor” Drafts. However, in writing on/over Oppen’s poem, Draft 85 repossesses (variously) the above lines that Oppen borrowed from a 1965 letter from DuPlessis. It’s amazing to me that 85 would take this turn, would arrive at this confluence — in the notion of “a Pitcher’s duel” — of DuPlessis’s thinking about the war and her thinking about authorship. There is no elsewhere — the two lines of thought collide, or cohabit, in this fact. I would say that a review would be no place to try and sustain a reading of that collision or cohabitation, but the truth is that even in an extended form — a book, say — Drafts overburdens a reading. We need volumes on Drafts. I understand this critical mass as a field poetics, not so much in terms of a projective relationship to the page, but rather a directional relationship to making meaning. Allusion of course sends us elsewhere, but Drafts presents itself as a text that’s elsewhere, a multidimensional, multi-locational work that must be wandered through. The poem returns here to the question regarding “the intensity of seeing” and of making a “clear” account, while motioning to the “unfinished business” both of mourning and of confronting the disasters of gender in a war zone, in writing histories of wars. For a sustained consideration of these concerns in prose, readers can consult DuPlessis’s contribution to the recent volume, Thinking Poetics: Essays on George Oppen — but here again we’re off to a supplemental text! The double basses are thus cousins to “the poem” itself in the Celan epigraph — lonely and en route. The poem here posits a radical simultaneity between the singularity of the present work and its indebtedness to that which incites it, pointing up its distance from the text on which it’s shaped and letting out a wail to mourn the distance. DuPlessis’s relationship to Oppen comes to seem both central to her own work, and yet at once incidental, flanked by, overshadowed by other relationships, contexts, and concerns. Response of this magnitude leaves the poem “alone” and “impossibly exposed” where reducible to tribute, because (if thus reduced) the poem risks being construed as “elsewhere” in relation to concerns vital for DuPlessis that seem to cross Oppen’s only marginally (like feminist histories and women’s responses to war in particular). Or the poem is “impossibly exposed” where critique threatens to drown out mourning. It’s hard for me to talk about poetry. a dream of climbing backward on a trestle over stressed woods. but gender appears in the tinkle of mannerist sincerity & depression. This last couplet might be a way of figuring Drafts as a field: no single, clear entry, and that lack becomes the way in. So even doors aren’t definitive guides, and in terms of entry points for a reading of Pitch, we might even say “no doors” is decidedly not the problem, but Draft 85 already anticipates this: “I want polyphony / I want excess” (53, emphasis mine). That desire, announced in the very name of DuPlessis’s long poem and performed in the doubling donations of the donor grid, is in part a feminist response to an inheritance from Pound that would have us see excision as the primary inroad to clarity. Throws of chance in all revolution enlarge intensities of claim. from particular presence and long implication. For this reviewer, to approach Pitch from start to finish might have missed the point of the project: how to review a book that happens all at once, as it were? Where each poem is a complexion of a shared concern, coming into view as a kind of eyetooth, the visibility in Drafts being always partial, at least from the limited vantage point of any one poem. Even if read as monument, this can only be partly true, sometimes true, since Drafts is also a field (sometimes), or even a maze, as John Keene has described it. 1. Rachel Blau DuPlessis, Pitch: Drafts 77–95 (Cambridge: Salt, 2010). 2. DuPlessis, Drafts: Drafts 39–57, Pledge, with Draft, Unnumbered: Précis (Cambridge: Salt, 2004), 112. 3. DuPlessis also notes Draft 49’s indebtedness to Alice Notley’s The Descent of Alette (Pledge, 229). 4. George Oppen, New Collected Poems, ed. Michael Davidson (New York: New Directions, 2003), 163. 8. DuPlessis, Drafts 1–38, Toll (Middletown, CT: Wesleyan University Press, 2001), 269. 9. DuPlessis, “‘Ballad’: On Reading Oppen Once Again,” in Big Bridge 14 (2010). 10. Oppen, New Collected Poems, 180. 12. DuPlessis has explored just this thread in her work on Beverly Dahlen and Anne Waldman, two poets whose work in the long form keeps company with DuPlessis’s own. 13. Anne Carson, “The Gender of Sound,” in Glass, Irony, and God (New York: New Directions, 1995), 121.